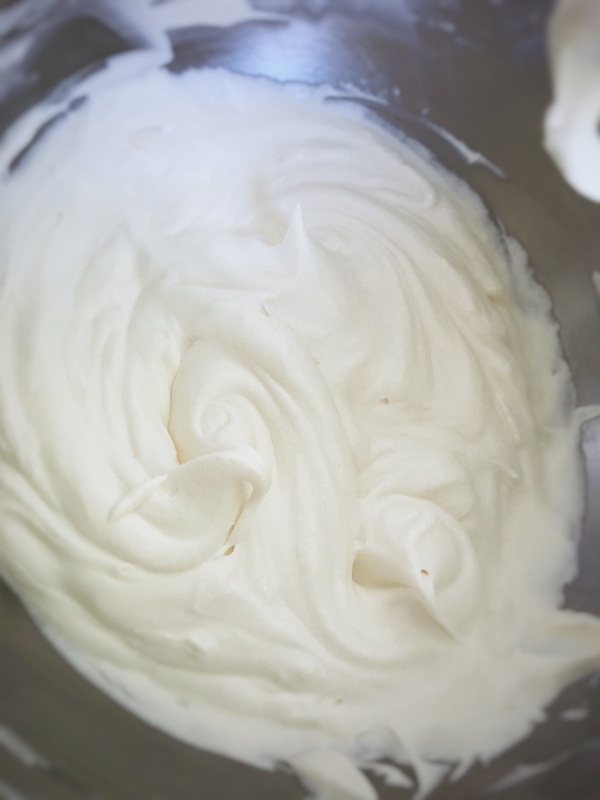 Sometimes I need to pipe swirls of whipped cream on a dessert a few hours ahead of time. 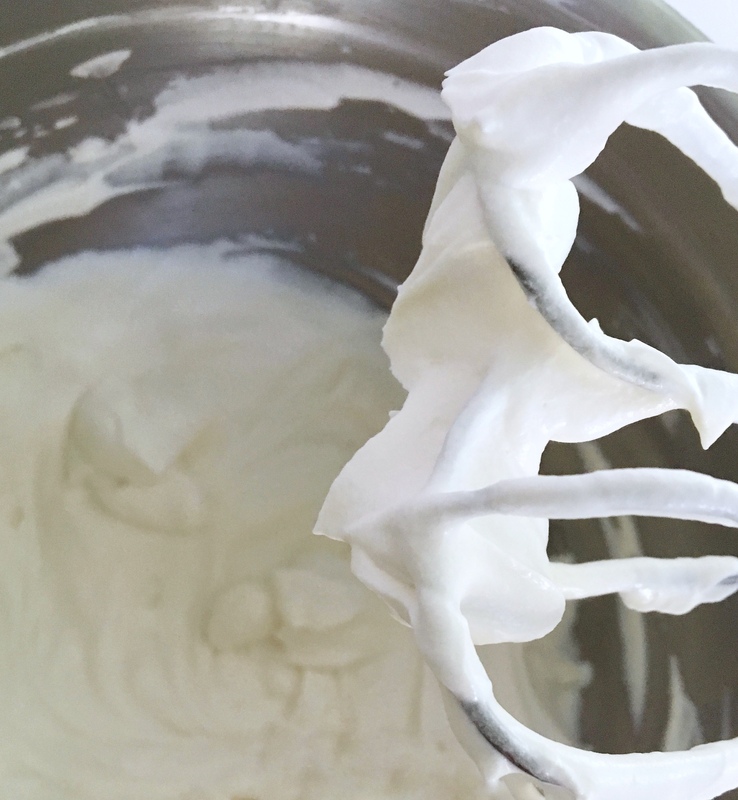 Even if I’m just leaving it in a bowl in the refrigerator, there are times when I need to whip the cream a few hours before I serve it. 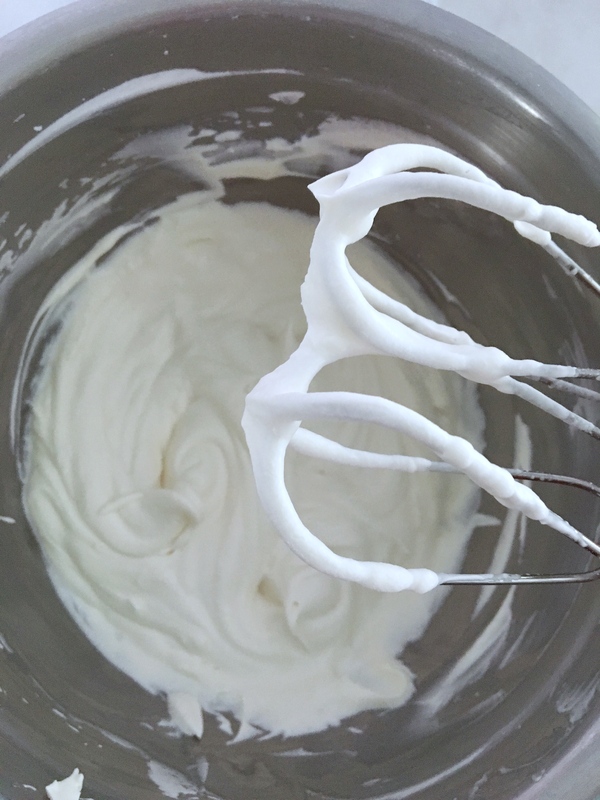 For these occasions I like to stabilize the whipped cream by adding something to help it be a bit stiffer, and less inclined to weep and lose that airy fluff. 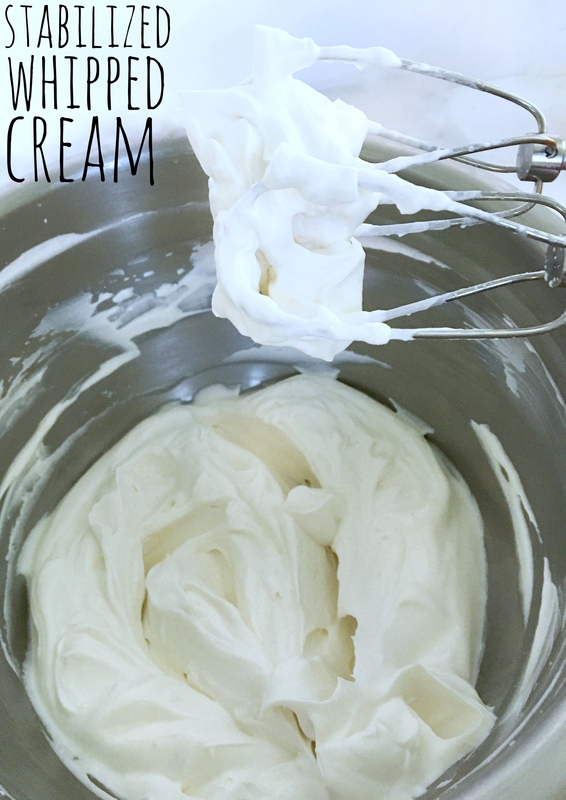 If I have “Dream Whip” on hand, I often use it as it’s easy to use and I like the flavor. The pudding gives a slight fake vanilla flavor which is OK, but not my first choice. The cornstarch gives a slight aftertaste but again is OK. 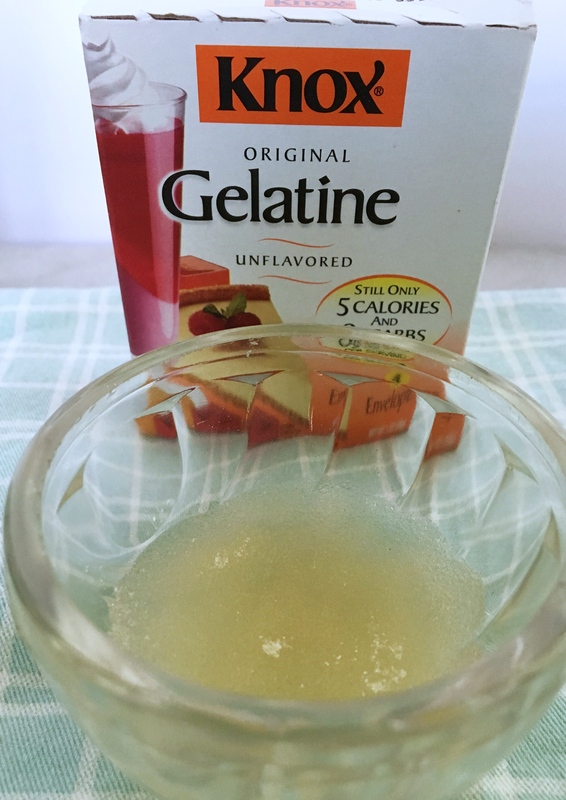 If I have time, I think the best method is to use unflavored powdered gelatin. Sprinkle powdered gelatin over water in a small glass bowl. Let it stand for about five minutes until the gelatin dissolves. 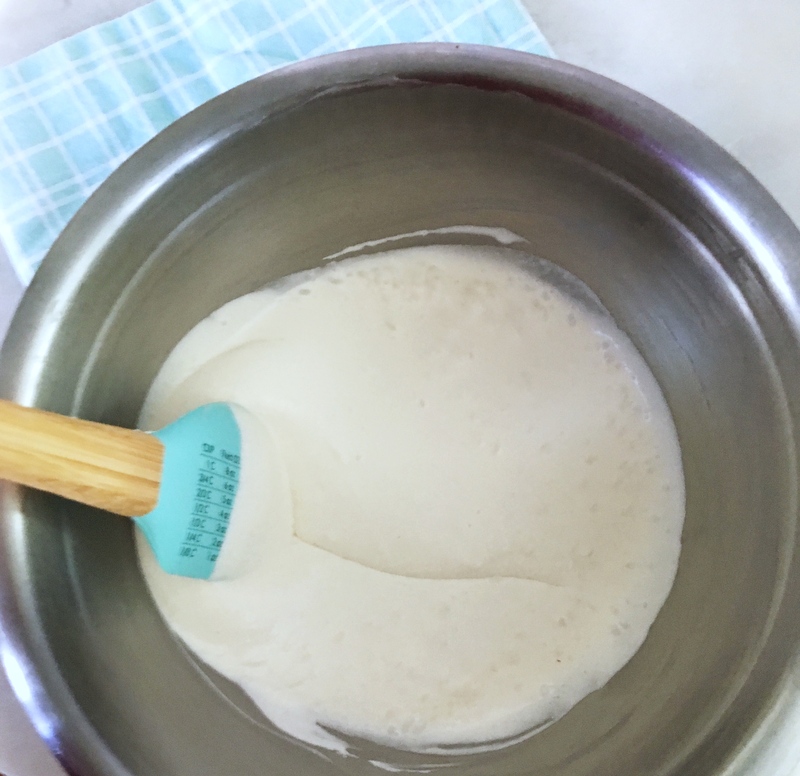 Whip cream, sugar and vanilla with electric mixer on medium speed until cream begins to stiffen and you can trace a line in the cream. 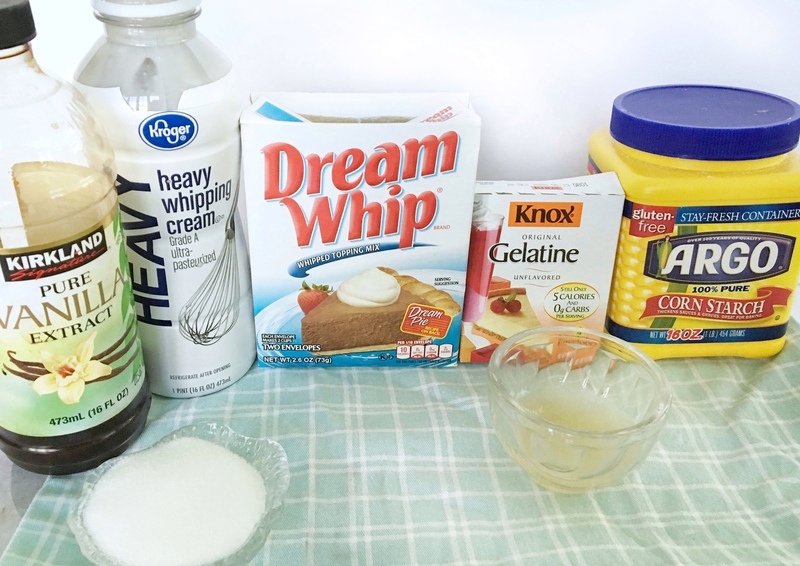 Add two tablespoons cream to gelatin and gently mix. While whipping, slowly pour the gelatin/cream over cream in mixing bowl. Increase mixer speed to high and beat until soft peaks form. Cover whipped cream and place in refrigerator, or top your dessert with cream and refrigerate until ready to serve. Thank you! It really can be so helpful!